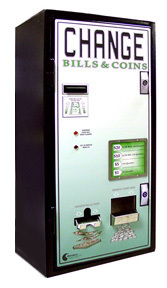 The BCX1010 features the Fujitsu F50 - Single-Note Bill Dispenser. 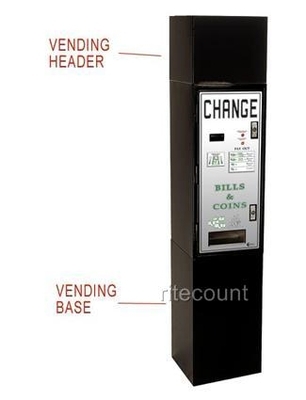 This dispenser allows the owner to load the bills vertically, directly into the dispenser. The BCX1010 is programmed to dispense the pay-out you specify under our "simple-function" programming mode. If you wish to have a more sophisticated pay-out, you can order the optional EF Module in order to make best change.